Tascam have been making portastudios for several decades now, in varying sizes. The portastudio brought multi-track recording within the reach of amateur songwriters and musicians, and became a useful tool for professionals to make demos of ideas prior to recording a single or album in a fully-equipped studio. It is a remarkable unit, and measures only 13 inches by 20. It does multi-track recording (up to 32 tracks it seems) and also has some useful effects processing built-in, including reverb, compression, and eq. You can make a recording, mix it down and make a master file all within the Tascam. In the past these tasks often involved separate hardware. Originally, the various stages of making a recording were represented by individual physical units: a recording device (magnetic tape once, then digital hard drive, and now SD micro cards in the DP32), a mixing desk, a number of sound processors such as a reverb / delay, compression, etc, and a second recorder on which to capture the stereo mix. In the domestic audio market the decades have seen increasing miniaturisation. I got this Tascam to create space in my music room and to have a recorder with minimal setting up, since creative time is hard to find. It’s early days with the Tascam but I’ve been pleasantly surprised at how straight-forward the basic operations seem to be. This analogue recorder taught many people the basics of recording. It only recorded four tracks onto a cassette tape, so the sound quality was not great (the DP32SD can record at 24bit / 48khz – better than CD quality). It was possible to make a basic guitar band demo by recording drums and rhythm guitar, then bass guitar, on tracks 1-3. The drums and bass could be bounced onto track 4, freeing 1 and 3. A second guitar could go on track 3 and a vocal on track 1. When the recording was mixed down into stereo that meant there would be a guitar on left and right and everything else in the middle. The limits of four-track recording meant you had to be disciplined about making creative decisions that could not be fixed later. And the cost? 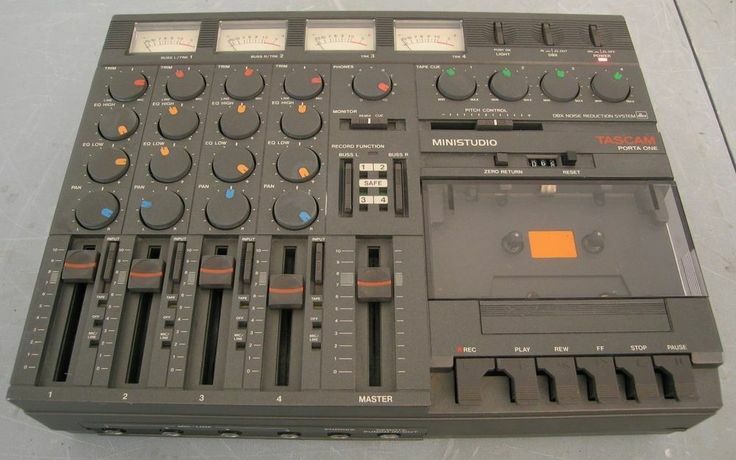 In the late 80s this tape cassette portastudio would cost what in today’s money would be about £1000. The Tascam DP32SD can be found for about a third of that! This entry was posted on January 25, 2016 by rikkyrooksby. It was filed under Uncategorized and was tagged with Tascam DP32SD. Ricky, thanks for all the stimulating thoughts and advice that you regularly give us in your blog. Many years ago, I used a much earlier iteration of this Tascam, which at the time offered the luxury of four track recording. 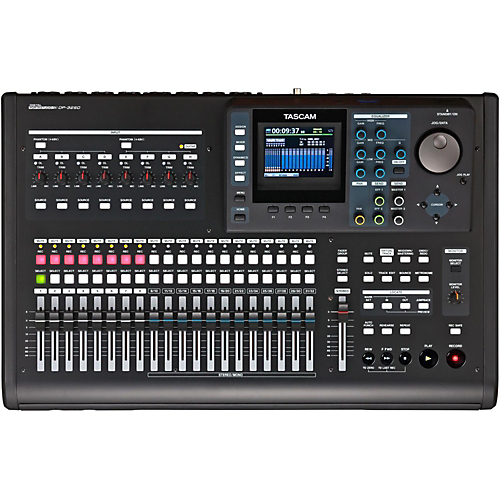 My next move was to Roland, memory-card/direct to CD recording equipment. About two years ago, I became a late-adopter of recording software run off a laptop (in my case, SONAR, but I believe there are very many similar options). Does this new Tascam DP32SD provide benefits over software/laptop driven technology? If so, I would be very interested in this equipment. I’ve got an Alesis 4 track straight into the computer – sleep easy, Abbey Road.